DHS Group | How do I change my Finance Focus? 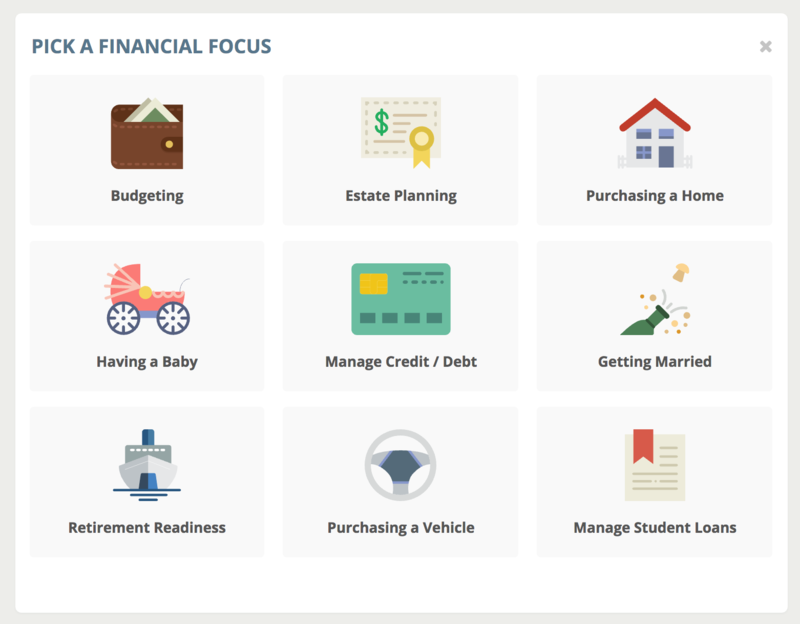 You'll be able to choose a financial focus in your Finance Portal: Budgeting, Purchasing a Vehicle, Estate Planning, Retirement Readiness, Purchasing a Home, Having a Baby, Getting Married, Manage Credit/Debt and Manage Student Loans. When you complete all the activities and articles associated with a focus, or if you choose to change your focus, you can do so directly in your Finance Portal. Log into your Engage account and navigate to your Finance module, then go into your Finance Portal. 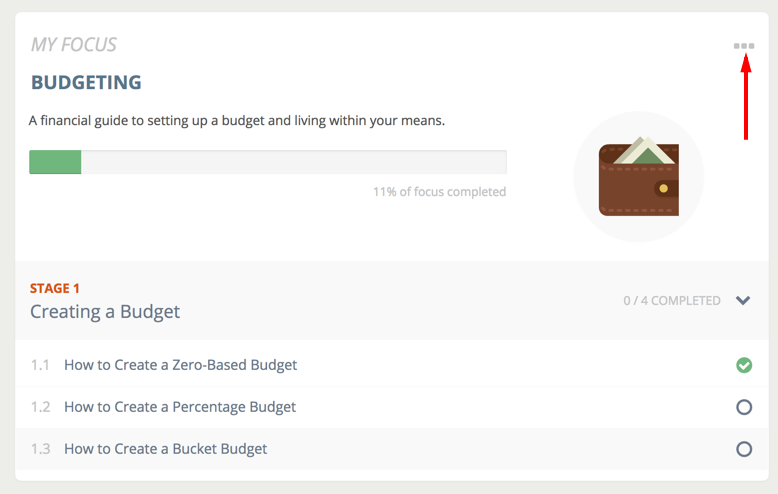 Please note, your Engage Dashboard will only display activities and articles for your selected focus - if you change your focus in the Finance Portal, you'll have to refresh your Engage dashboard for it to reflect your new focus. Your points that you've completed will remain intact.